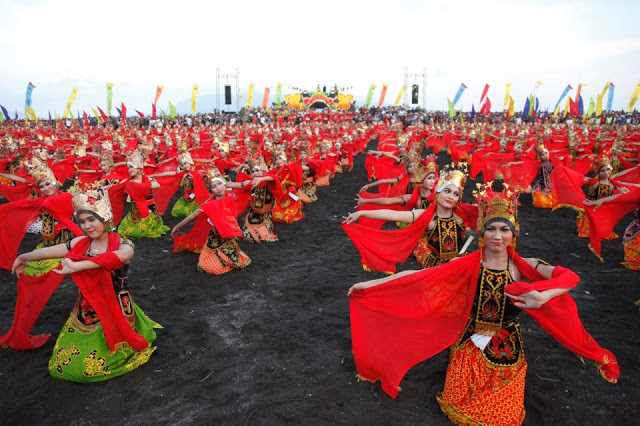 Banyuwangi has a myriad of interesting and beautiful attractions. 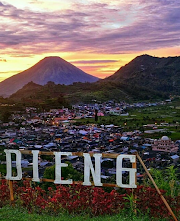 Regency located on the east end of Java island has a large area so that Banyuwangi has many places you should visit if you travel to the district with the title of this gandrung city. Because of this size you need plenty of time to visit every corner of this city. The location of one tourist place to other attractions is tens of kilometers so it can drain your energy. This is tourist information in Banyuwangi. 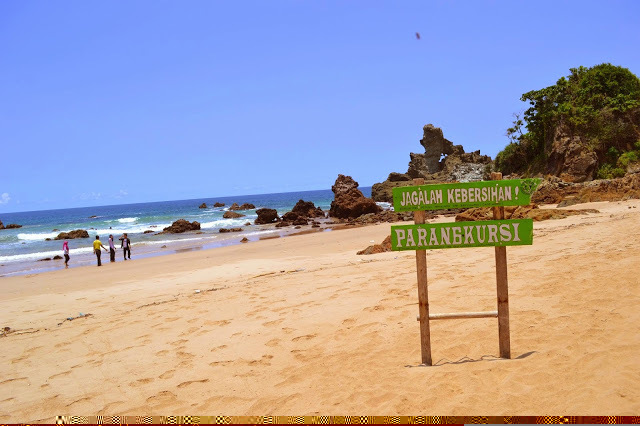 Red island beach is one of the prima donna Banyuwangi located in Sumberagung Village, Pesanggaran District. What makes the difference from this beach is the existence of an island located on the shore. The existence of this island makes this beach more exotic and became the origin of the name of Red Island. In addition to good scenery, the roll of the waves are also quite a lot of other attractions, no wonder if many beginner or intermediate surfers surfing this beach. Therefore, this beach is used as the place to hold the annual event of International surfing competition which is participated by 20 surfers from various countries. Another one that is not lost and a pity to miss, namely the view at sunset or sunset. Orange color with a very beautiful blueness immersed between the hills will spoil our eyes. Plengkung beach is nicknamed "The Seven Giant Waves Wonder" by foreign surfers because it has 7 rolls of waves that have a height of up to 6 meters. 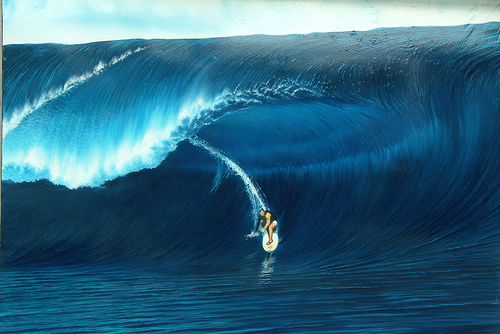 G-Land became the dream of the world of international surfing and has the second best wave in the world after Hawaii. To get the best waves from the arch beach, surfers should know the months that fit because not every month big waves, only in certain months between April to August. 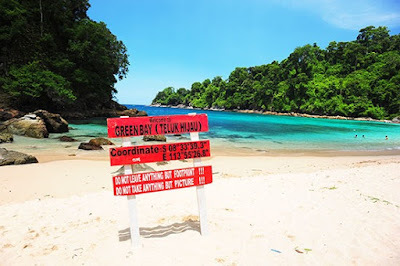 Green bay beach is a favorite destination in banyuwangi. Its natural beauty is no doubt, its still beautiful forest and clean beaches make the atmosphere refreshing. No wonder if there are still animals that roam around the beach although many visitors who visit the green bay. One of them is a monkey, visitors are expected to be careful with this one animal because this animal can steal your goods. Besides the beach here also there is a waterfall that directly leads to the beach. It is said that this waterfall had been visited by an angel to bathe. It is also used visitors to use this waterfall to rinse their bodies after swimming on the beach. This uninhabited island is located 20 km from the center of Banyuwangi, with a beach area of ​​about 5 hectares, the island is located between the island of Bali and the island of Java. Located in Bangsring Village, Wongsorejo Sub-district. Tabuhan is an exotic island, the island is covered by beautiful white sand. Under the sea you can find Coral and some marine biota that adorn the beauty under the sea. In addition to beautiful scenery, this island becomes a new heaven for lovers of extreme water sports kitesurfing and Windsurfing. 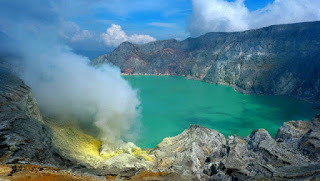 Located on the border between Banyuwangi and bondowoso. This mountain offers great beauty. In addition to the beauty of the crater, Ijen crater there is also blue fire or blue flame that there are only two in the world. Miners who are taking and transporting sulfur make the view more interesting. To be able to see the beauty of blue fire, tourists must wait until dawn. Usually tourists start the journey from the paltuding post at 1 o'clock in the morning because at that hour should be allowed to do the climb. Bluefire appearance will be visible until 5 o'clock. After that the blue fire will not be seen again because it lost with the sunlight. Waterfall lider is one of the waterfall that is still natural in banyuwangi. 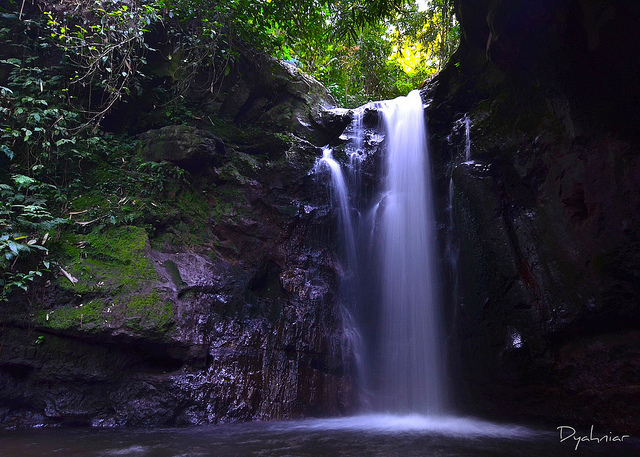 Located on the slopes of the mountain raung make the atmosphere at this waterfall soothing. With a waterfall that reaches 60 meters high makes this waterfall one of the highest waterfall in banyuwangi. The splash of water that bounced and exposed to the sun will bring a beautiful rainbow color that makes the view more amazing. 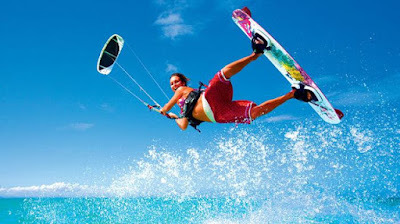 Located in downtown banyuwangi make boom beach become one of the easiest destination to visit. You can use a bicycle or walk there if your position is in alun square blambangan. The beach is a clean black sand is not inferior to the white sandy beach, coupled with the background of this beautiful island of Bali. In addition to enjoying the beauty of the beach visitors can also try the facilities - facilities available on the beach boom like a shady umbrella and horse riding. 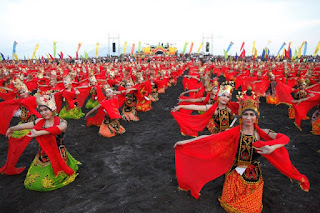 In addition to being a mainstay tourist destination Banyuwangi, beach boom is also often used as a venue for large events such as colossal dance gandrung danced by 1000 more dancers gandrung titled Sewu Gandrung and Banyuwangi Beach Jazz Festival is the first and only one beach JAZZ event in Indonesia held in Boom Banyuwangi Beach. Wedi ireng beach is a small replica of the king of ampat in papua because as far as the eye will see the cliffs surrounding the island, There is also a small island island. This beach is still quite beautiful, it is seen from the terrain. If you go by land you will pass through a very heavy and difficult terrain because you have to pass through the forest with a muddy path. You also have to climb up to the edge of the hill then down. But believe me, your journey will not be in vain if it gets to the beach. The sea water is still clear and blue and beach lips surrounded by green trees provide a calm atmosphere. In javanese meaning of wedi ireng beach is a black sand beach but the fact is the most dominant sand here is white sand. Rows of coral on the shores of the beach increasingly add charm. On one side of the beach there is a very large stone which became the landmark of Wedi Ireng Beach. Watudodol beach is one of the interesting tourist destinations in Banyuwangi, its location is very strategic in the axis path Pantura make this beach crowded visited. Large stone with a diameter of 15 meters and a height of about 10m right in the middle of the road ditandainya this place nicknamed Watudodol, Watu in Java language which means stone and dodol is jenang, dodol jenang is a typical snack made from sticky rice that tastes rectangular. The beach watu dodol has many interesting places along the coast there are pedestrian to relax the visitors while enjoying the beauty of the beach of Bali island background. 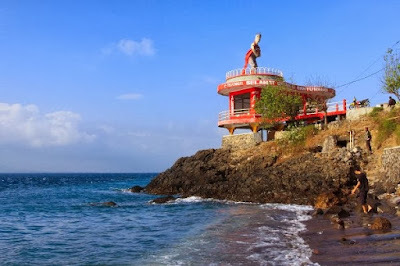 In addition there is a huge gandrung statue that became the icon of Banyuwangi. Bangsring Underwater. 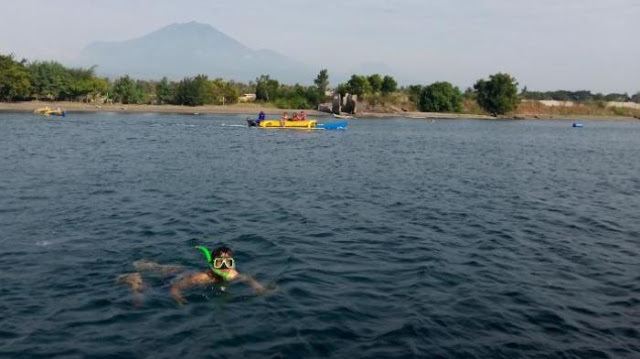 The beach is located in krajan hamlet, bangsring village, wongsorejo district has beautiful underwater beauty. 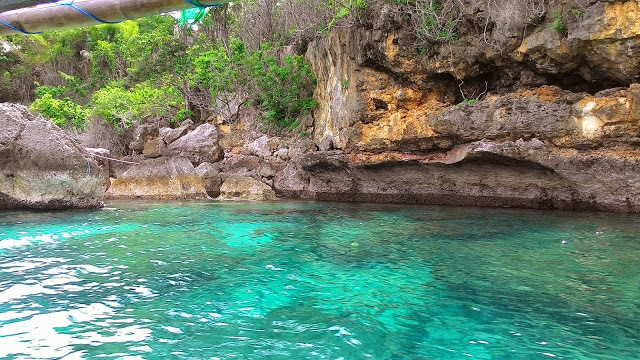 This beach is perfect for you snorkeling sports lovers. Visitors can enjoy the beauty of biota and sea plants are pretty good. In addition to beautiful coral reefs, here also there are ornamental fish that adorn the waters in Bangsring Underwater. They swim dancing on the coral here. Coral here falls into two, namely soft corals and hard corals are still well preserved. And become a beautiful plant for 500 species of ornamental fish this waters. But of the 15 species scattered in these waters, the most popular is the type of angel. And the most hunted is the type of fish betok. Its abundant stock makes the type of betook fish required in large quantities. 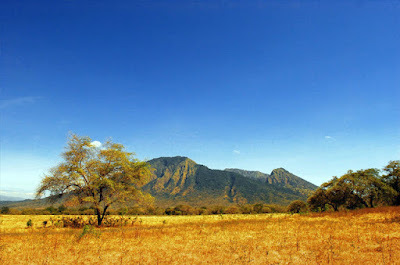 This is the widest expanse of savanna on the island of Java, making you who visit here seemed to be in Africa. In Baluran presented real natural amazing when hundreds of deer run to the puddle of water, male peacocks widen their tail to attract the attention of the female, dozens of big buffalo buffalo, dozens of eagles looking for food, to languish and makaka hanging. Not to mention the typical Baluran trees that resemble pinang trees and bear fruit once a lifetime of 1 ton to then die. Pilang trees are trunked white and lush, if you watch it carefully it resembles a tree in the movie "Avatar" as well as bekol tree shade like banyan with magical nuances. Located in Meru Betiri National Park (TNMB), Sukamade Beach is one of Triangle Diomond Banyuwangi, East Java. To reach this beach is indeed full of struggles because the area known as Sukamade Jungle track has a very extreme with a landscape that is still very and exotic. Quiet atmosphere, natural tropical forest sukamade beach is a favorite place for turtles to land and lay eggs, this beach is also called as a turtle palace because of the many turtles that landed on this beach, even from six turtles in the world 4 of them landed here namely Turtle Slengkrah , Leatherback turtles, hawksbill turtles and green turtles. 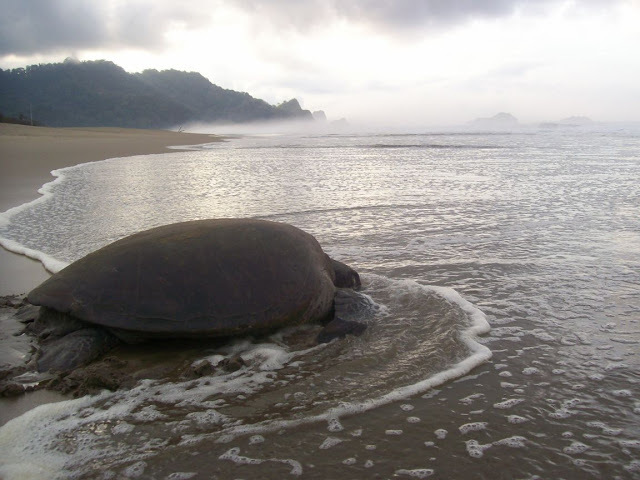 The number of sea turtles landing and laying, making the sukamade beach a breeding ground for turtle eggs and releasing them back into their habitat after hatching hatchlings are ready to be released. Tourists can not only see it, you can also participate in the release of hatchling. To see the hatchlings laying tourists must wait until the evening because usually the turtle landed on the beach around 19:30 hours. Once spawning these hatchlings can produce eggs up to hundreds and will return to the sea at 24.00. These turtles do not every day land on this beach only in certain months. Female turtles will often land in november. 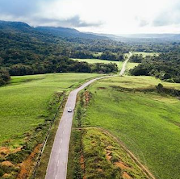 Grassland or savanna Sadengan is a grassland with an area of ​​80 hectares, and is a semi-natural meadow in Banyuwangi and included in the territory of Alas Purwo National Park. It is called semi-natural meadows because the existence of these pastures does not take place naturally, which is formed due to forest destruction to form a vast expanse of grass. Animals that live in this pasture is a combination of Greezer or animals grazing in savanna Sadengan, and Browser or who eat plants in the forest. 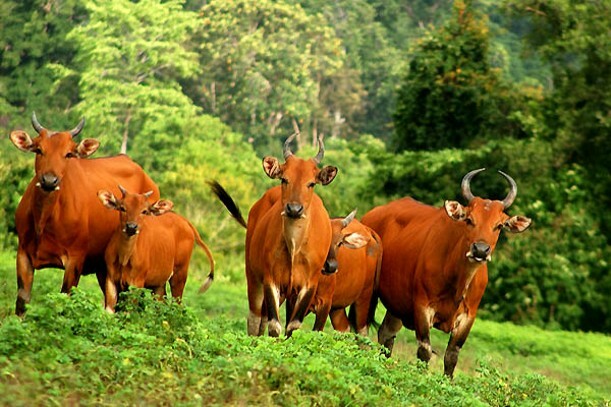 Various species can be found in this field such as; Bull (Bos javanicus), Deer (Cervus timorensis), Ajag (Cuon alpinus), Kijang (Muntiacus muntjak), Pig Forest (Sus scrofa), Leopard (Panthera pardus). 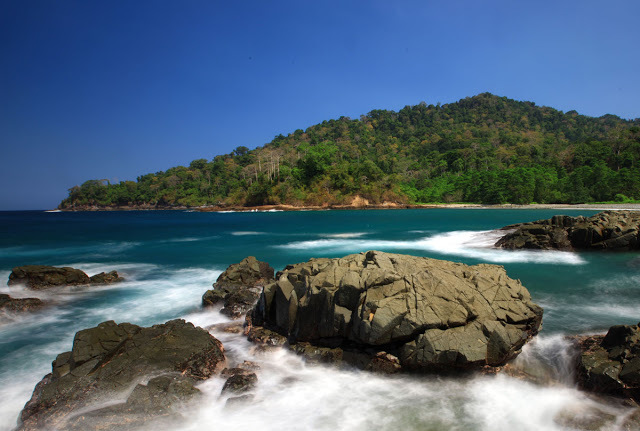 Blimbingsari Beach is located in Rogojampi District, 23 km from the city of Banyuwangi. The road to this beach is good. Public vehicles are also available. The beach is also close to the blimbingsari airport. 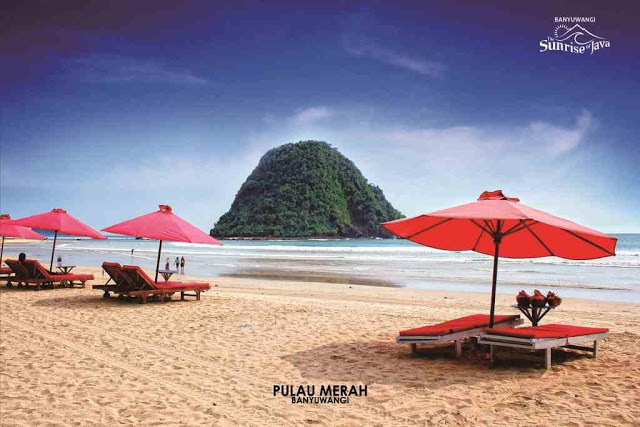 Maybe after you land in banyuwangi you can enjoy this one beach. Blimbingsari is also famous for grilled fish cuisine. The sea picking ceremony is usually held every month Suro. Other than that on this beach you can also see the beauty of the sunrise and see the fishermen coming home from the sea. 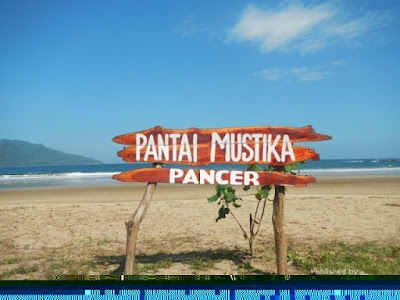 The specialty of mustika beach is the beach is still clean and natural, besides the long beach almost reaches 2 KM semicircle and in the middle of the island there mustaka. The plan mustika beach will be divided into two parts, namely public and private so that all people can enjoy. This is done because the demand of middle and upper tourists who want to sit back and coffee with a calm atmosphere. Waves on the beach mustika not too big, safe enough for those of you who invite children play on the beach or swim in the beach. Around the beach is overgrown with coconut trees that make the atmosphere cool. Here are also provided tables and chairs so that visitors can sit back and enjoy the beautiful sunrise. This one bay is different from the green bay. If the green bay has the beauty of white sand and the color of the green sea water. If Blue Bay has beautiful underwater beauty. 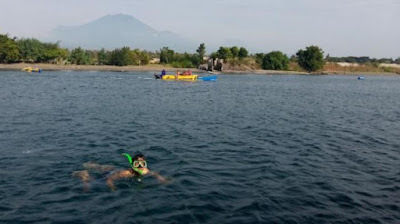 Blue Bay Bay one alternative snorkeling in banyuwangi in addition to the beach in bama baluran or island pummeling. The beauty of the underwater Blue Bay is not inferior to the two tours above. The sea here is also still beautiful and not yet exposed, as evidenced by the clear blue sea color. That's why this bay is called blue bay. The origin of the name Parang Kursi is due to a large coral shaped like a chair. Finally the regent Abdullah Azwar Anas inaugurated the name of this beach to the beach Parang Kursi. There is a myth behind the big coral that is on the shore of Parang Kursi. It is said, nyi roro kidul came into this world from the world of jinn in this place. Strangely the water that bursts on this rock it is not salty, but tasteless. The beauty of the beach Parang Kursi of which is the sea water is very clear, the sand is a reddish white, and green moss attached to the rock, and coral reefs neatly arranged to make this beach look beautiful. Her natural beauty that is still a virgin makes the atmosphere calm. Accompanied by the swish of beach waves spraying on the rocks. Parang Kursi beach is located in banyuwangi subdistrict kecamatan. And is between the red island and the beach of lampon. Access to the beach is quite extreme because the beach is still natural so there is no adequate road. You will pass through bushes, forests, steep hills and barren gold mining areas. Special vehicles such as dirt bikes can make your trip easier on this track. 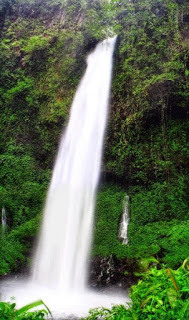 Kali Bendo Waterfall is located in Kampung Anyar Village, Glagah District, Banyuwangi Regency. Kali Bendo waterfall has a height of 10 meters and is located within the Agro Wisata Kalibendo, where there are coffee plantations, rubber and cloves. Agro Wisata Kali Bendo is located at the foot of Mount Ijen. This one waterfall is no less good than other waterfalls in Banyuwangi. Because around this waterfall there are rubber, coffee, and clove plantations. 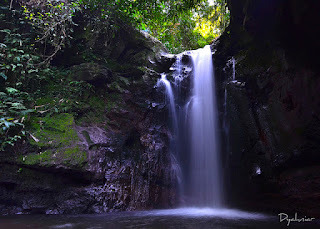 Kalibendo Waterfall has a height of about 10 m and is located within the Agro Wisata Kalibendo, where there are rubber, coffee and clove plantations. 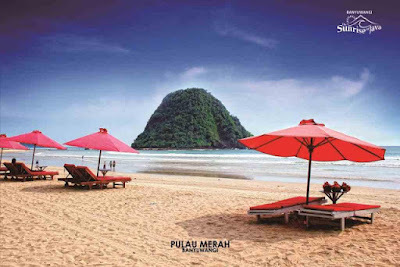 Located in the village of Anyar village, Glagah District, Banyuwangi District, East Java Province. It is about 15 km from Banyuwangi to the southwest. Beach rajegwesi is a beach that made the community around as a parking lot of the ship. The boats here used by fishermen to find fish and transportation to go to the green bay. The waves on this beach is very large because this beach is included in the Indian Ocean. Called beach rajegwesi because on this beach there is a large rock. In jajanya rajeg means pole while wesi is iron. If combined into an iron fence. Rocks and hills become a truly charming sight, with brownish-brown sand, this beach is not the same as other beaches located in a southern coastal area of ​​clean white sand. This brownish color caused by the sediment of mud in the river that carried and empties on this beach when the flood arrived. 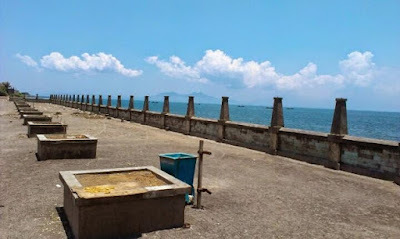 Another view of this beach is used as a port for the traditional fishermen who as well as a fish auction, If tourists come this place when the fishermen landed from the sea, tourists can see the sea and fresh, Others arrived indicating the wisdom and hospitality of the surrounding community towards each other. 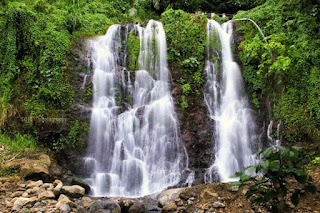 Named waterfall kampung Anyar because it is in the village hamlet Anyar, village Taman Suruh Glagah District Banyuwangi regency. One of the waterfall destinations that became a prima donna in the city of Banyuwangi. The uniqueness of this destination is pengujung can enjoy three waterfalls at once in one place. Many designations of this waterfall, ranging from waterfalls brothers or twin waterfalls, waterfall villages Anyar, waterfall nymph, waterfall jagir.